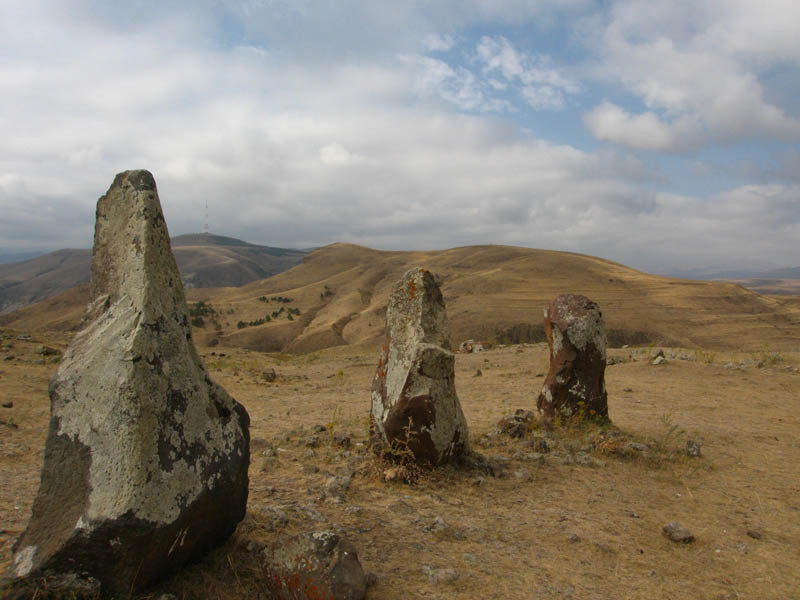 Karahundj (also spelled «Carahunge», and also known as Zorats Karer or Zorats Kar) is a megalithic composition of Bronze Age tombs (cists, dolmens or tumuli) and over 220 standing stones (menhirs). 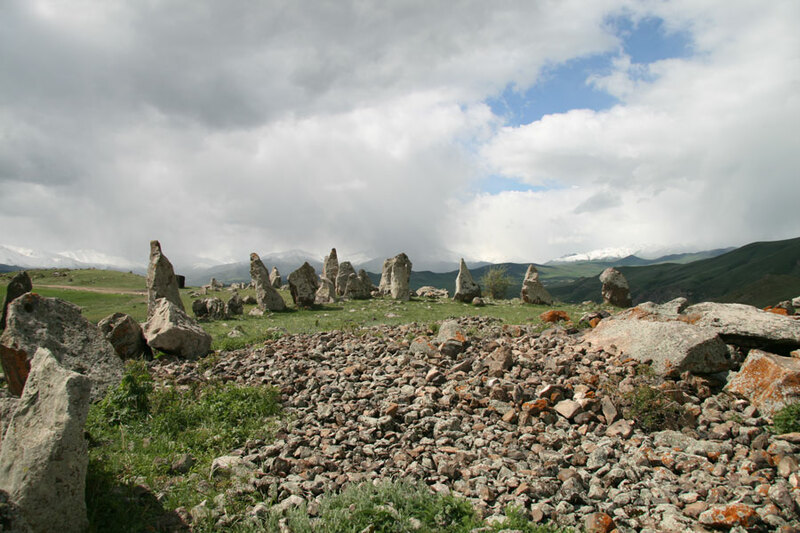 The two intertwined features (cist graves and standing stones) are the focus of debate in Armenia. 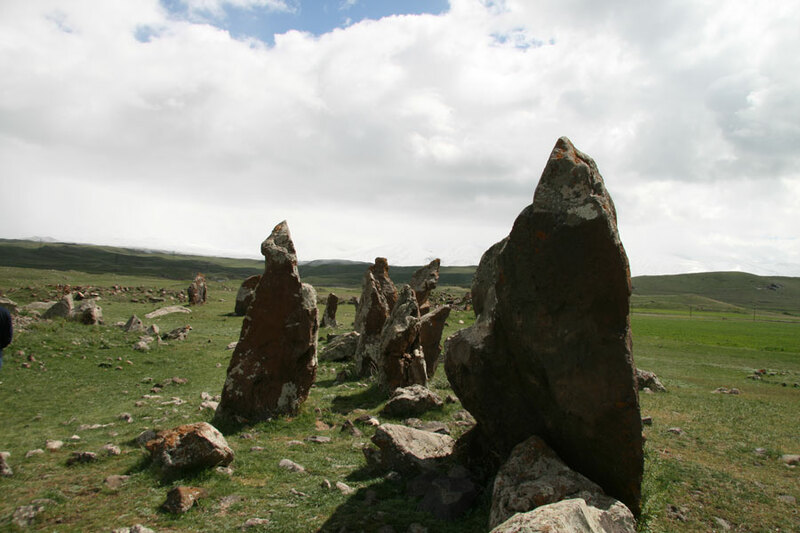 Archeologists and astronomers do not agree on the dating or purpose of the standing stones, but do note their similarity to menhirs and stone circles found in other parts of Eurasia; in Iceland, Ireland, Scotland (Callinish), France's Languedoc region (Carnac) to the eastern Mediterranean, and, perhaps most famous, the stone circles found at Avesbury, England (Stonehenge). 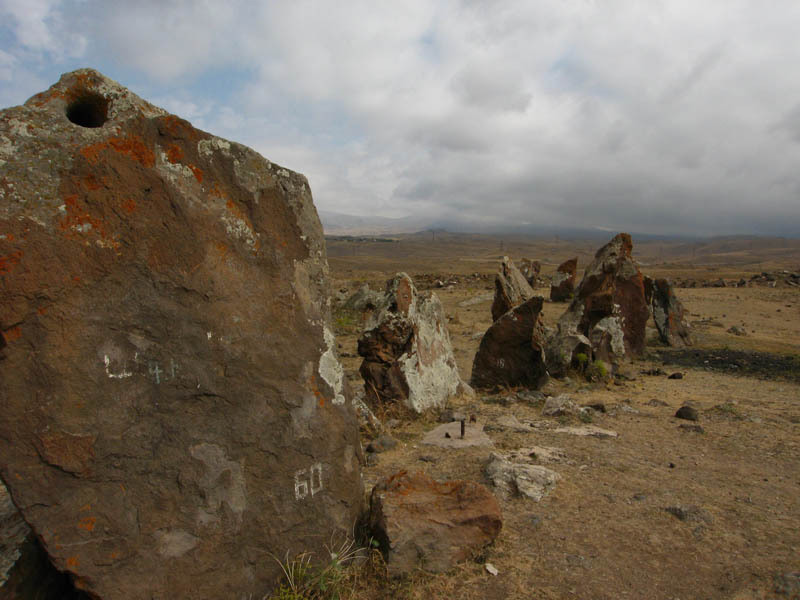 In fact, stones like those at Karahundj are not alone in Armenia: they can be found in Shirak and at numerous sites between Lake Sevan and southern Siunik; large rough basalt stones from 2-3 meters tall and up to 10 tons in weight, each with a cleanly carved hole at standing or sitting eye-level on their rough surfaces. Many of these stones were carved with crosses in the early Christian era, some have been converted completely into elaborate khachkars, the «eye-hole» the only vestige of the stone's early incarnation. These stones are found in cemeteries, some embedded into church walls, and standing in open fields. In 2004 the site was officially named the Karahundj Observatory, by Government decision No. 1095, July 29, 2004. The site (latitude 39° 34' longitude of 46° 01') inhabits over 7 hectares with a large western field of foundations (cist graves), a central oval (ring) of standing stones with rows or «alleys» of stones of various sizes stretching north and south and east of the oval. In the west of the oval there is a huge cist grave. A total of 223 standing and fallen stones stretch 250 meters and bisect the oval while over 200 cist and shaft graves lay in the lower ground to the west of the central oval. The stones are grouped into a Central Ring, the Chord, a Central Alley, North and South Arms, and the Northeast Alley.